A profound sense of pointlessness drives Jon Reeves to desperate acts. Just when everyone expects contentment from a middle-aged Mormon man, Reeves flails blindly against the terrors of mid-life. This gripping novel taps the wellsprings of unfocused adult discontentment. Michael Fillerup is the author of Visions and Other Stories and a contributor to Bright Angels and Familiars. He lives with his wife and children in Flagstaff, Arizona. 00 Beyond the River was printed on acid-free paper and was composed, printed, and bound in the United States. © 1995 Signature Books, Inc.
trademark of Signature Books, Inc. 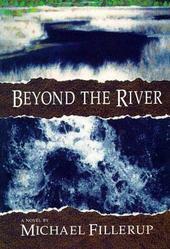 Beyond the river a novel/Michael Fillerup.